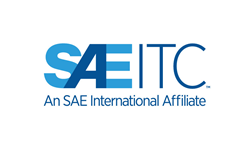 SAE-ITC, an affiliate of SAE International, announces that it has finalized the transfer of the aerospace auditor and training provider activities from Exemplar Global, an Australian-based firm. We are extremely enthused about the opportunity to increase our value to the aerospace auditor and training provider communities by assuming responsibility for this new population. - Kevin J. Perry, EdD, Director of Professional Development, SAE Int. The aerospace authentication activities will operate under SAE-ITC’s Probitas Authentication, an Americas Aerospace Quality Group-Registration Management Committee (AAQG-RMC) approved Auditor Authentication Body (AAB) and Training Provider Approval Body (TPAB). Probitas Authentication is approved by the AAQG-RMC to authenticate AQMS auditors and training providers in accordance with the aerospace certification scheme requirements. The transition became effective Monday, Feb. 29. The transfer of aerospace activities from Exemplar Global helps position Probitas Authentication as the primary Auditor Authentication Body and Training Provider Approval Body for aerospace quality in the Americas. The transition to Probitas Authentication will include the transfer of more than 670 auditors, 975 certifications, and seven training programs.